Able ARTS Work (formerly known as Arts & Services for Disabled, Inc.) offers a number of programs designed to meet the needs of the community. From health and wellness services to arts education and mobile programs, each Able ARTS Work (formerly known as Arts & Services for Disabled, Inc.) outreach program fosters inclusion and accessibility. 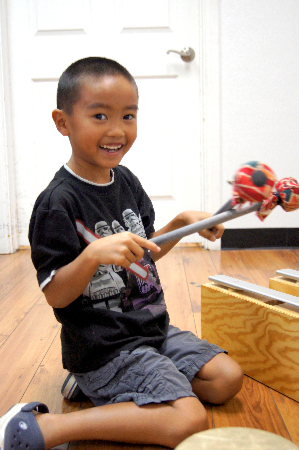 Accessible Arts Workshops (AAW) deliver standards-based Visual Art and Music Education workshops to children and adults in schools and community centers throughout Los Angeles and Orange Counties. The program provides age-appropriate Performance Standards in the areas of Artistic Perception; Creative Expression; Historical and Cultural Context; Aesthetic Valuing and Connections, Relationships and Application and further enhances the wellbeing of participants with the inclusion of social-emotional learning. Accessible Arts Workshops are led by teaching artists and creative arts therapists who have achieved the highest level of excellence in their artistic practice and education. AAW promotes inclusion by encouraging engagement between individuals with and without disabilities. AAW workshops are fee based and grant funded services supported in part by The Department of Cultural Affairs, Los Angeles County Arts Commission and The National Endowment for the Arts. New in 2018 AAW is vendor of Inspire Charter Schools serving Home School communities throughout Los Angeles county, contact us for the 2018-19 academic year schedule. The Mobile Arts Program (MAP) is a home-based program that provides creative arts therapy services to individuals with developmental disabilities who cannot attend a day program due to physical limitations. Our team of professional art and music therapists provide regular sessions where individuals receive quality of life services encompassed through a curriculum of adaptive, self-care and education skills development through the arts. Individuals otherwise homebound benefit from further physical and emotional decline by participating in a community-based program, where the opportunity for transition and inclusion are available. MAP services are currently funded through the Westside Regional Center, private pay options are available. The Creative Health & Wellness Clinic (CHWC) is an outpatient treatment program for children and youth with various disabilities, including autism spectrum disorder, cerebral palsy, intellectual disabilities, developmental disabilities, acquired brain injuries, neurodegenerative disorders, physical injuries and other socio-emotional disorders. The CHWC implements our distinctive approach of, Creative Arts IN Therapy & Creative Arts AS Therapy, which employs creative arts therapies to reach and teach individuals with disabilities, working with them through play and music to enjoy creative experiences while achieving their non-musical goals. Specifically, our sessions address; IEP Goals and Objectives, Communication Skills, Speech and Language Skills, Early Intervention, Cognitive Impairments, Social/Emotional Skills Support and Daily Living and Functional Skills. The CHW Clinic is founded on the theories and principles of A.H. Maslow and ASD’s core belief of Love Before Learning. The CHWC is supported in part by The National Charity League, private pay and financial aid options are available. Art on the Move (AOTM) provides creative engagement opportunities to the public while promoting inclusion in the community. Our vintage camper takes the show on the road with traveling exhibitions, a pop up retail shop and art/music workshops to community events throughout the Los Angeles area. Our travelling exhibits feature artwork created by ASD’s resident artists as well as a pop-up shop selling an assortment of handmade wonders from our student created micro-enterprise, The Go Store! Last but not least, we offer the opportunity to participate in mini on-the-spot workshops, led by our talented teaching artists who are specially trained in using adaptive teaching methods in music, drama or art. The AOTM camper is an exciting addition to festivals, art fairs, farmer’s markets or other events where the arts are not available! AOTM is a grant-funded program supported in part by The Green Foundation, Beim Foundation and the Arts Council for Long Beach. Community Arts Program Enrichment (CAPE) provides art and music experiences to children and adults of all abilities in community organizations such as Parks & Recreation Centers, hospitals and other medical care facilities.